Nicknamed “The Pearl of the Orient,” Hong Kong is an eclectic city buzzing with creativity, history, and commerce. 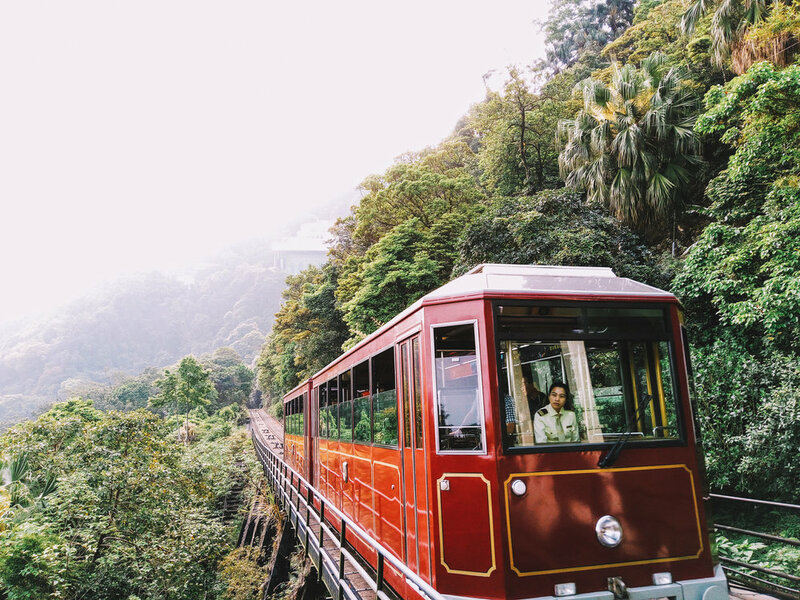 Culturally diverse with a unique East-West heritage––expect soaring modern skyscrapers and sophisticated luxury, juxtaposed with ancient temples, gilded shrines and bustling street markets. RICH HISTORY | From Hong Kong's Colonial Legacy to the resumption of Chinese sovereignty, with a couple of Opium Wars in-between, today the cosmopolitan port city (whose name means ‘fragrant harbor’ in English and is home to a staggering 7.3 million people) attracts visitors from across the globe. EXOTIC DESTINATION | Situated off China’s southeast coast, the Special Administrative Region (SAR) comprises Hong Kong Island, Kowloon Peninsula, the New Territories, and outlying islands––of which there are over 260! 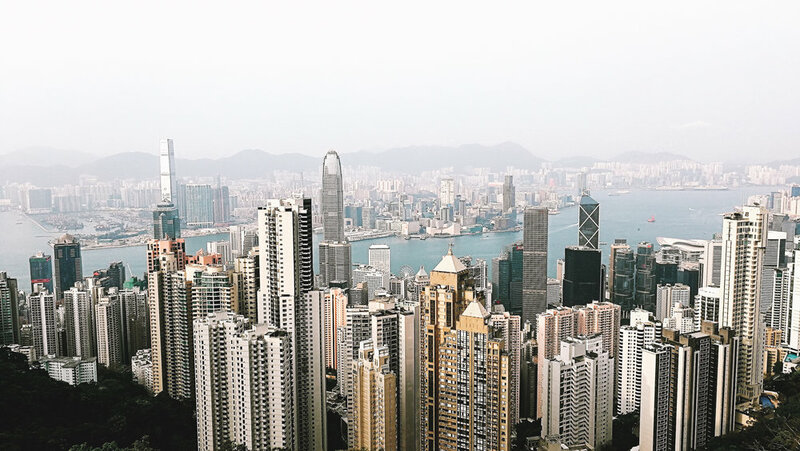 DIVERSE NEIGHBORHOODS | Central is the main business and financial hub, while Kowloon is home to areas like Tsim Sha Tsui, Yau Ma Tei and Mongkok. In the latter you’ll find many of the famous street markets, selling everything from jade and tourist trinkets, to goldfish, flowers and songbirds. Each district is punctuated by at least one tree-filled park offering a tranquil refuge amidst the energetic metropolis. SUPERB SHOPPING | Whether designer labels or kitsch souvenirs are your thing, Hong Kong is a shoppers paradise so be sure to keep a section of your suitcase free for those new take home finds. 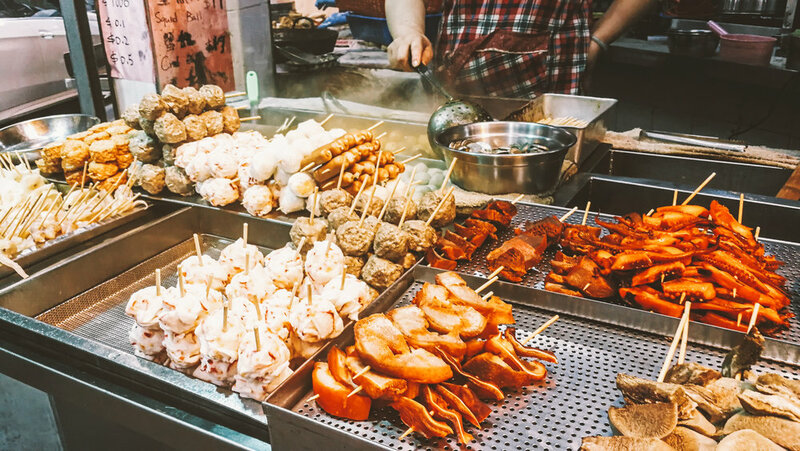 DELICIOUS FOOD | From street food stalls to Michelin-starred restaurants, Hong Kong produces a dizzying array of must-try dishes––from egg waffles and curried fish balls, to roast goose and, of course, dim sum. STELLAR PUBLIC TRANSPORT | You’ll walk a LOT in Hong Kong, but the nifty Octopus card allows easy access to all forms of public transport (airport express, Mass Transit Railway (MTR), bus, tram, Star Ferry) and makes exploring a breeze. 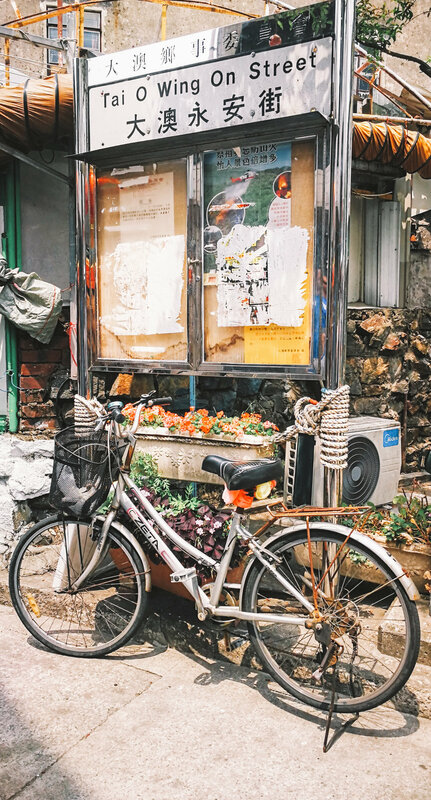 There’s a diverse mix of old and new to explore in Hong Kong Island’s Sheung Wang district. Wander Hollywood Road, where antique stores share space with modern galleries, before visiting one of Hong Kong’s most famous temples: the 19th century Taoist Man Mo Temple dedicated to the god of literature, Man Cheong (文昌) and god of war, Mo Tai (武帝). To the west of this winding thoroughfare discover one of the city's oldest residential districts, Tai Ping Shan (Peace Hill), a sleepy area filled with small local shops, design outposts––such as arts and social hub PMQ, which houses homespun lifestyle brands like KAPOK––and alleyways adorned with exceptional street art. Bustling with activity, don’t miss a stroll through Graham Street Market, one of the oldest continuously operating ‘wet markets’ in Hong Kong that has sold a colorful array of fresh fruits, flowers, and vegetables for almost 200 years. Escape the city hustle and see a different side to local life with this popular 8km hike to Big Wave Bay. From Shau Wei Wan MTR take the No 9 bus (11 stops) to To Tai Wan where the trailhead begins. After a steep initial climb (there are stairs!) 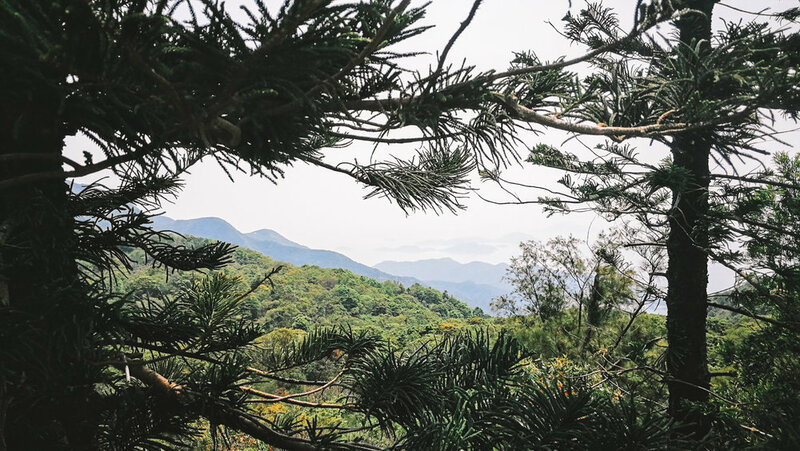 you’ll be rewarded with gorgeous sea views and scenic overlooks along the undulating spinal ridge of the ‘Dragon’s Back’ all the way to Shek O Peak. A rugged path descends from the peak and connects with Pottinger Peak Country Trail before winding its way through a wooded valley, eventually arriving in laid-back Big Wave Bay. Located at the eastern end of Hong Kong Island, here you can swim, rent a surfboard or simply relax and enjoy a fresh coconut (or namesake Dragon’s Back beer) from the Big Wave Bay Café before taking a public bus (HK$6) back to Shau Wei Wan. 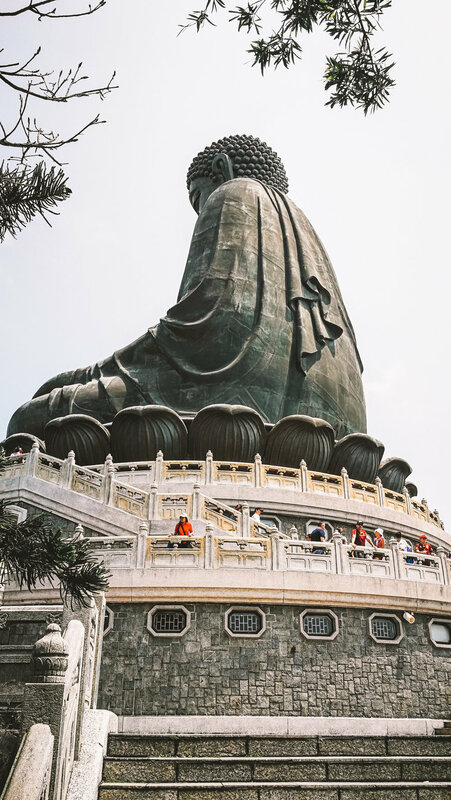 Nearly double the size of Hong Kong Island, Lantau boasts lush peaks, long stretches of sandy coastline, and one of the world's largest Buddha statues. 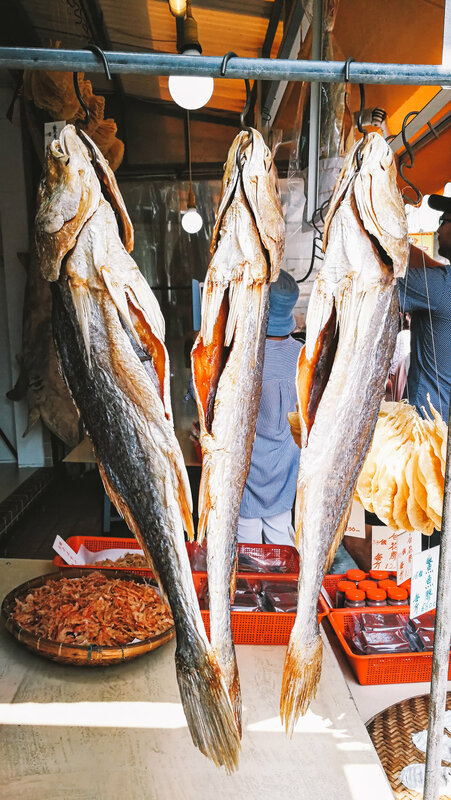 Start with a visit to the picturesque Tai O Fishing Village––home to the Tanka people, a community of fisher folk who’ve built traditional stilt houses above the tidal flats here for generations. Next, wind your way up towards the majestic bronze Tian Tan Buddha, a 112-foot symbol of peace and harmony. 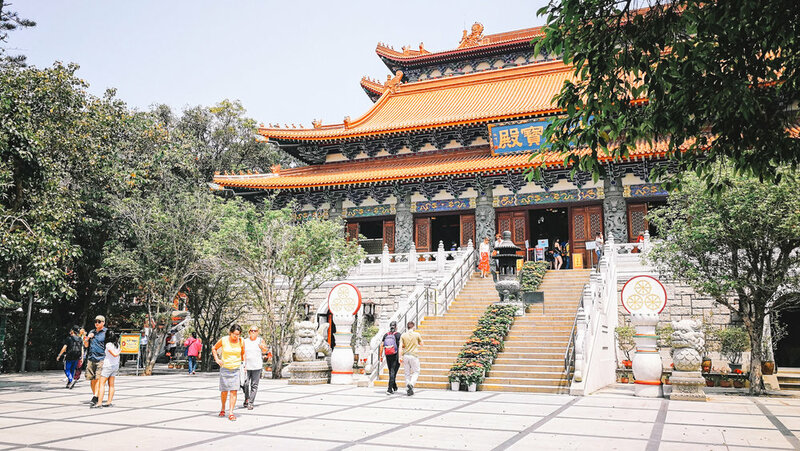 Explore Buddhist icons and flower garden at the adjacent Po Lin Monastery before tucking into a tasty vegetarian meal from the monastery kitchen. 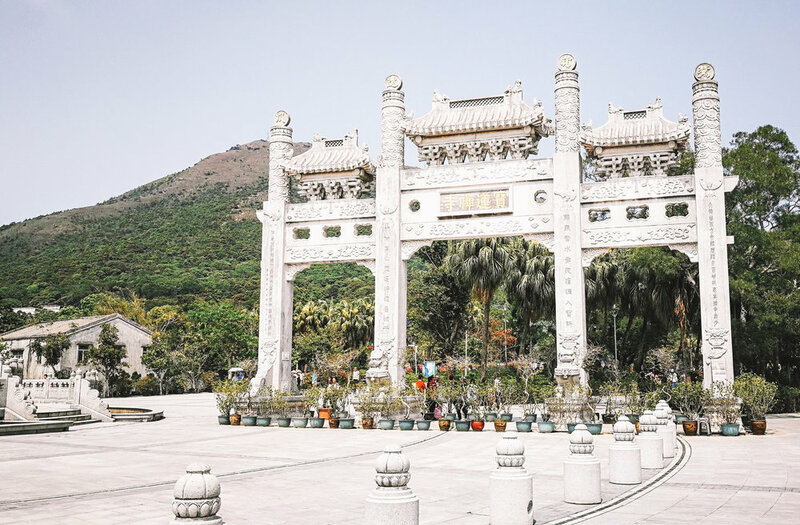 Take a reflective pause at the nearby Wisdom Path, which features 38 wooden monuments engraved with verse from the centuries old ‘Heart Sutra’, before making your back towards the city via the scenic 25-minute Ngong Ping 360 gondola ride over Lantau’s rolling hills and Tung Chung Bay. LockCha Teahouse | Enjoy a traditional yum cha experience (the Cantonese brunch custom of Chinese tea and dim sum) at this elegant spot, which serves fresh-made vegetarian dishes and a hundred plus premium teas. Hong Kong Park, Admiralty. The Lobby | Inherited from the British, afternoon tea is now a quintessential Hong Kong tradition. Treat yourself to one of the best in town at the storied Peninsula Hotel, available daily on a first come first served basis from 2pm to 6pm. Salisbury Road, Tsim Sha Tsui. Teakha | Watch the world go by while savoring homemade cakess and contemporary signature teas at this charming Sheung Wan neighborhood café. 18B Tai Ping Shan Street, Sheung Wan. 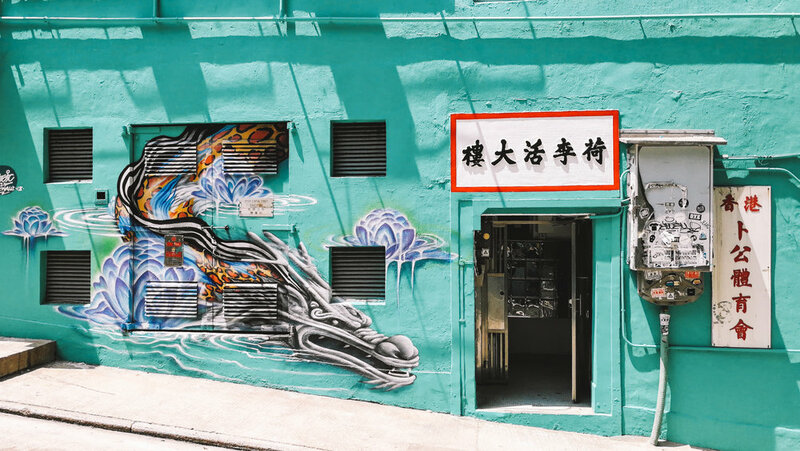 Ho Lee Fook | Fans rave about the “new school Chinese” inspired by “old school Hong Kong” take on dishes like prawn toast and Cantonese-style roast goose at this happening spot––whose cheeky sounding name means ‘good fortune in your mouth,’ in case you were wondering. 1-5 Elgin Street, Central. Little Bao | Pork belly baos, truffle fries and the oft-Instagrammed condensed milk-drizzled mini ice cream baos are a must if you can score a seat at Chef May Chao’s hit restaurant. 66 Staunton Street, Central. Mott 32 | Tucked deep inside the Standard Chartered Bank Building a dining experience here will be long remembered and well worth the splurge. 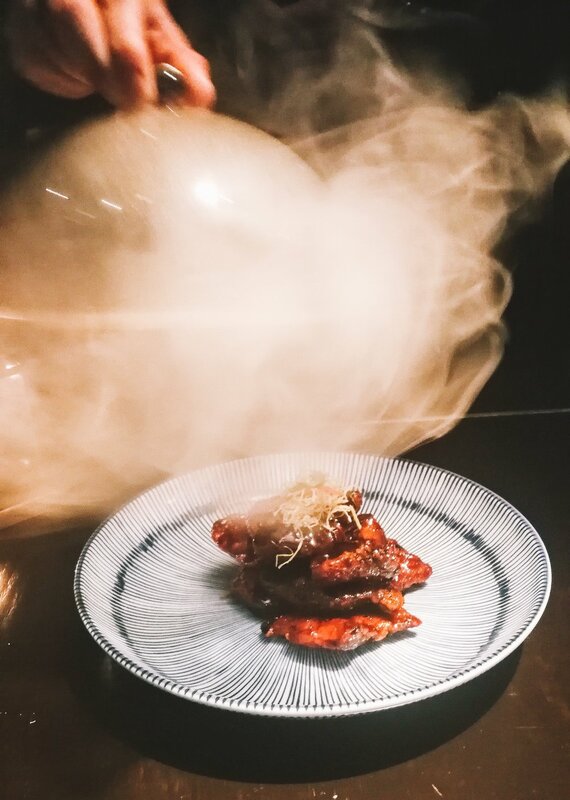 Order the Peking duck ahead of time, or try the melt-in-your-mouth Iberico pork char siu and signature smoked black cod. If you can, save room for the Bamboo Green Forest dessert. 4-4A Des Voeux Rd, Central. Tim Ho Wan | Some of the most famous dim sum in Hong Kong can be found at this One Michelin-starred local mainstay. Open 24-hours it boasts four eateries across the city in West Kowloon, Sham Shui Po, Central, and Causeway Bay. Din Tai Fung | A table is always worth the wait at this Taiwanese export, which also received a coveted star for their xiaolongbao. Locations can be found in Causeway Bay, Silvercord, Sha Tin, and Tsim Sha Tsui. Spring Deer and M&C.Duck | Advanced reservations are advisable at both these Tsim Sha Tsui restaurants where classic and modern takes on the famed Peking duck experience are offered respectively. 42 Mody Rd, Tsim Sha Tsui; and Harbour City, Gateway Arcade, Canton Rd, Tsim Sha Tsui. Yum Cha | If it’s Instagram-worthy character buns you’re after (think cute pink piggies and little pineapple-filled ‘birds’ served in an ornate silver bird cage) look no further. 173 Des Voeux Rd, Central. AQUA | Located on the 29th and 30th floors of the One Peking Building in Tsim Sha Sui, this upscale rooftop bar is a great spot for cocktails and dazzling city skyline views. 1 Peking Rd, Tsim Sha Tsui. Via Tokyo | This popular Japanese dessert café specializes in tasty soft serve ice cream treats and pastries made with Kyoto matcha powder and Hokkaido milk. 106-126 Leighton Rd, Causeway Bay, and 29A Cameron Rd, Tsim Sha Sui.